LED Globe 9W or 11W Dimmable in Warm White 3000K or Daylight 6000K with GU10 fitting Base. The globe has 240V and 50 Degree & 60 Degree of Beam Angle for 9W and 11W respectively. The Espresso Classic Touch Lamp is a beautiful and stunning touch lamp which can really enhance any room it is placed within. The Cafe Lighting - Wendy Touch Lamp is a stunning and beautiful lamp choice which is designed to deliver a complimentary and adoring piece within any home. Brilliant Lighting - All purpose magnifying lamp that is perfect for day to day use that features a powerful 90mm lens that offers a 3-diopter lens plus a 12-diopter lens for intricate activities. LED Work Light Rechargeable w Switch and Swivel Hook 60 LED IP54 Excelight CLA..WORKLIGHT IP54 12V 60LED Cordless/Rechargeable. Oriel Lighting - Our LENTE MAGNIFIER LAMP is pleasantly stylish and practical. The powerful LED combined with the 3-times magnifier lens, provides a great resource whether you're into craft or simply need help when reading. The Sunny Lighting - Energy Saving Lamp 8W Mini Twist Compact Fluorescent Bulb B15 B22 E14 E27 is a professional and efficient compact fluorescent bulb which is designed with a small size which is able to fit into most light fixtures with ease. Telbix - Elmas pendant light available in Antique Brass, Chrome and Matt Black finish with clear glass. Fluorescent Work Light Tube w Electronic Adaptor IP54 11W 12V Excelight CLA.WORKLIGHT IP54 CFL PL 11W-12V ADAPTOR. Single colour dimming controller and RF remote control to suit 5 Pack DIY LED Deck Light kit. Mercator - Buckley floor lamp mother and child uplighter in brushed chrome dual dimmer switch. CLA Lighting - LED Strip Light comes in different globe colour. 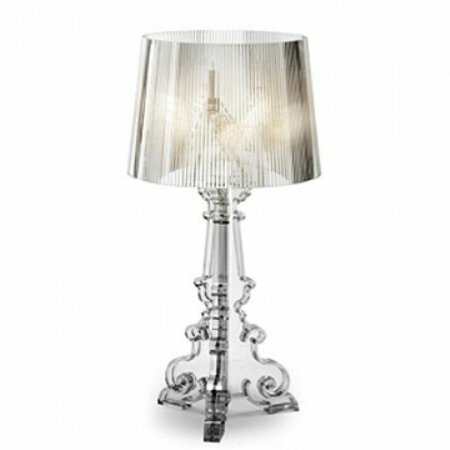 Mercator - 3 stage touch table lamp with metal base and cream soft back pleated shade. Available in Antique Brass, Brushed Chrome and Polished Brass. Oriel Lighting - 15W warm white or cool white toned, frosted reflector style compact fluorescent bulb with an Edison screw base. Not suitable for dimming. Available in 4 sizes : 20cm, 25cm, 30cm, 40cm and 50cm. The cord is attached to the pendant using a 5 arm globe base which allows the pendant to be suspended. OneWorld - Shaynna Table lamp amber, green, grey or purple glass with copper base and black shade. OneWorld - Floor tripod lamp cricket bat style in natural finish.